Which of the following describes the sailing term "Leeward"? Which of the following describes the sailing term "Port"? 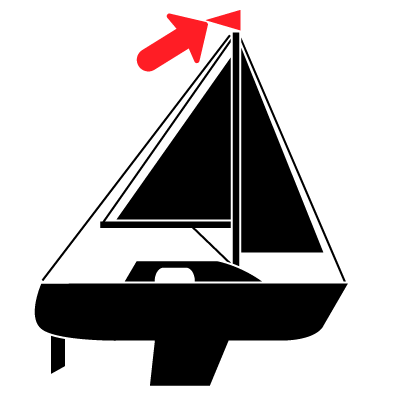 The following image identifies which point of sail? "Moderate waves of some length. Many whitecaps. Small amounts of spray" best describes the sea conditions for which beaufort wind scale number? Which of the following describes the sailing term "Stern"? Which of the following images identifies a Morse Code sequence for the letter "H"? The red circle in the following image identifies which sailing term? Which of the following images identifies a Morse Code sequence for the letter "P"? 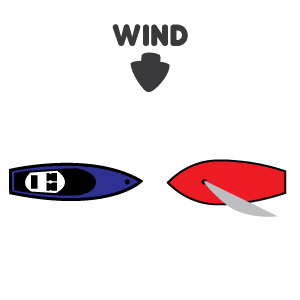 Which of the following sailing terms is described as "Away from the wind"? If you are in IALA buoyage system A, is the following preferred channel to port or starboard? Which of the following images identifies a Morse Code sequence for the letter "C"? Enter the assigned phonetic code name to the letter "R"? 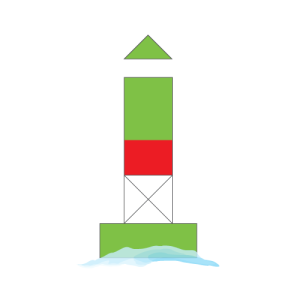 The following image identifies which part of a boat? 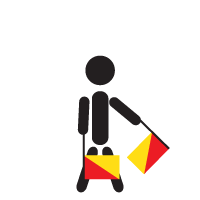 Which of the following vessels is the give-way vessel? 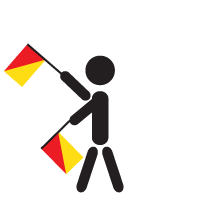 Which of the following flags represents G? 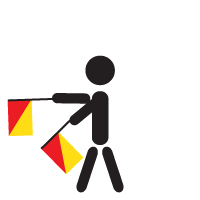 Which of the following describes the sailing term "Luffing Up"? 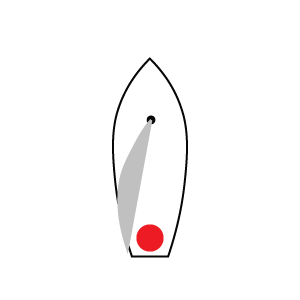 Which of the following describes a run point of sail? When the boat is facing directly into the wind. 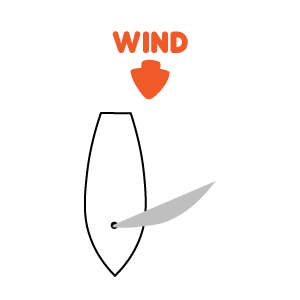 When a boat is sailing directly downwind.